Haha arch gap ftl. 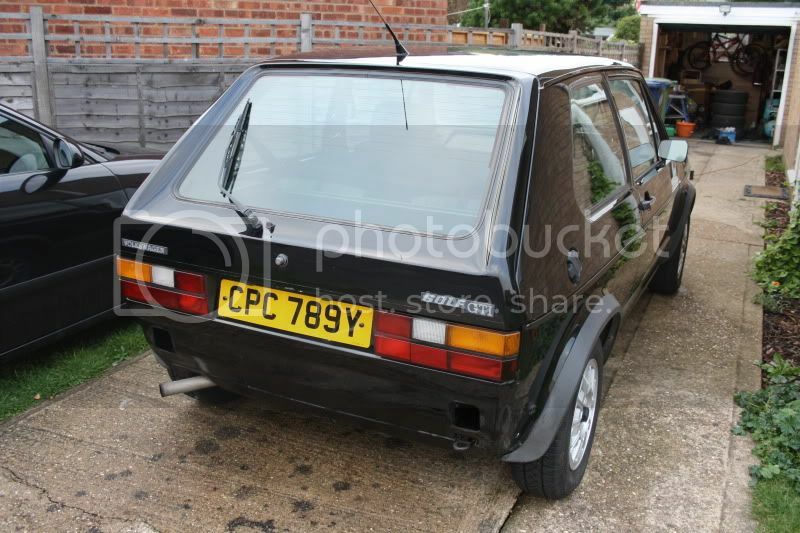 i was gonna get the mk2 altogether for the meet but dint see the point, will leave it for next year now. Removed bumpers, grill, headlights(1 needed replacing anyway), stickers and then washed it. Once battery recharged, i tried to start but no go. Checked fuel infeed pipe to metering head and theres nothing so looks like crap in tank syndrome. Had a look underneath at the pump and it seems someones already done the inline filter between tank and pump safety thing. Filter looks proper dirty so i'll replace that and see how i get on tommorrow. looks good lee will look alot different when you've finished with it i bet, looking forward to updates! thought they looked a little slim for down and out!! you gonna paint it white? why would you do that you some kind of fag who think its cool ruining a perfectly good car??? really nice car dude! can't wait to see more of it! As i had the car up to remove the dirty filter next to the pump, i noticed that whoever did it, placed the fuel pump in the cradle the wrong way so they'd have more pipe to play with and fit the filter. Anyway, i removed fuel from tank, refitted the pump the correct way and used a pipe to go direct from tank to pump just like it left the factory. Couple of turns on the key and she fires up woohoo! Bought the car with no clock lights, after removing, i could see why!, there was no bulbs in it haha. I just replaced the clocks with a set i got with the car in the end as it looked in much better condition and read only 1k more than those i took out. I just need to work what wiring goes to which guage now and that should be it apart from fitting some tunes. 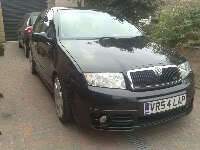 Its now booked in for its MOT at 9am saturday so i intend to get the little niggles sorted by then. Well, i did'nt make it to the MOT station this morning. My golf started kangaroo'ing now and and again as i made my way and kept cutting out. I could here the fuel pump getting louder so i aborted after doing approx 5 miles. Managed to get back home by coasting and restarting everytime it cut out! , Yeah great fun hey!!. I pulled the pump off as i had a spare, the 1 on the car was'nt original, it had a tiny filter within the infeed pipe which clogged up with grit/dirt/rust. I replaced the pump for my spare anyway(no tiny filter) and it now works ok. I'll replace the fuel filter by the metering head with a new 1 i have once i've done a few miles as no doubt that will be filling with crap instead now. I gave the car a spin and it goes well. My next annoying prob is the oil light flashing and buzzing, its not the clocks as i tried another unit which i knew worked fine. 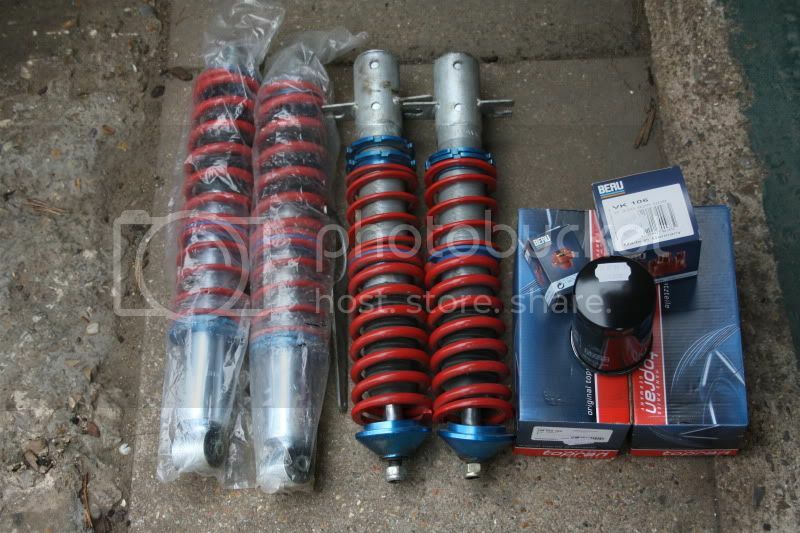 Was'nt all bad today though, i picked up some coilovers for £80 off cabby19(scott) on here . 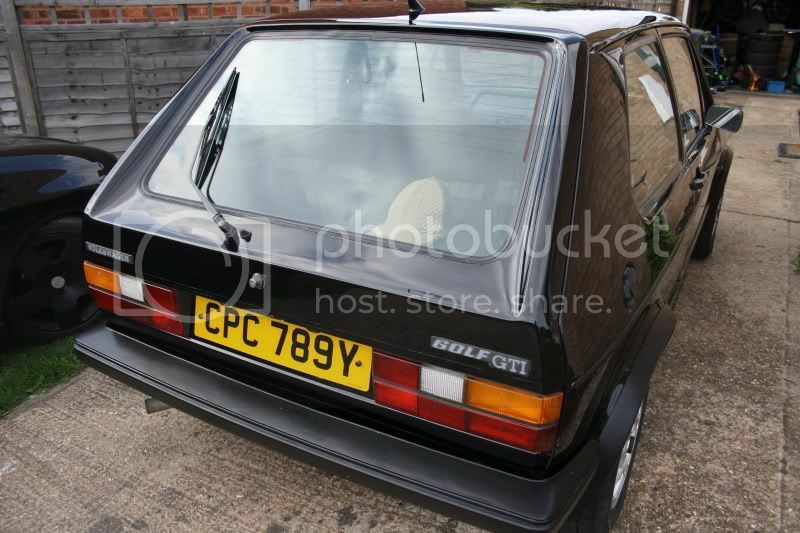 The fronts had only done approx 200 mile and the rears was still in there plastic. They only crappy hottuning things but atleast i can get the height right for when i fit my wide 14's i have waiting to go on. I'll get a decent set next summer. 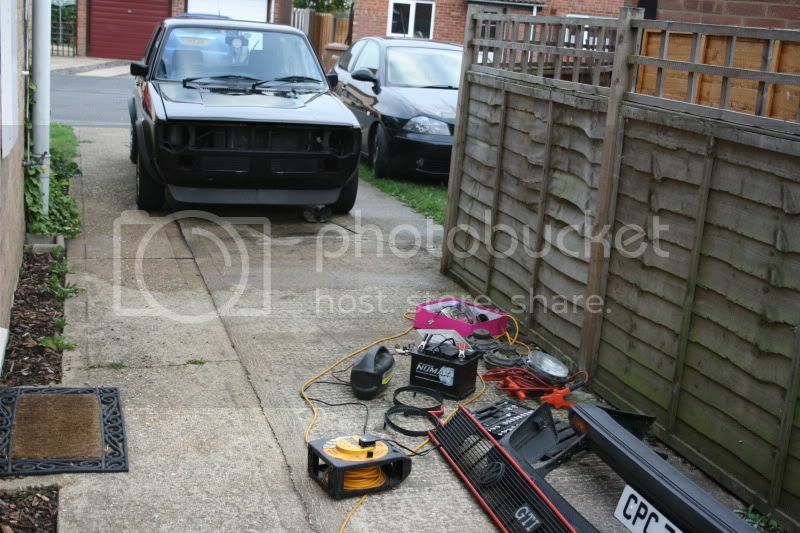 Also sorted the gear linkage out as you could'nt get 1st and there was a long throw for 3rd. All gears work properly now although a little stiff due to new bushes been fitted previously. Now that i kinda happy about the mechanic's, i turned my attention to the trim. 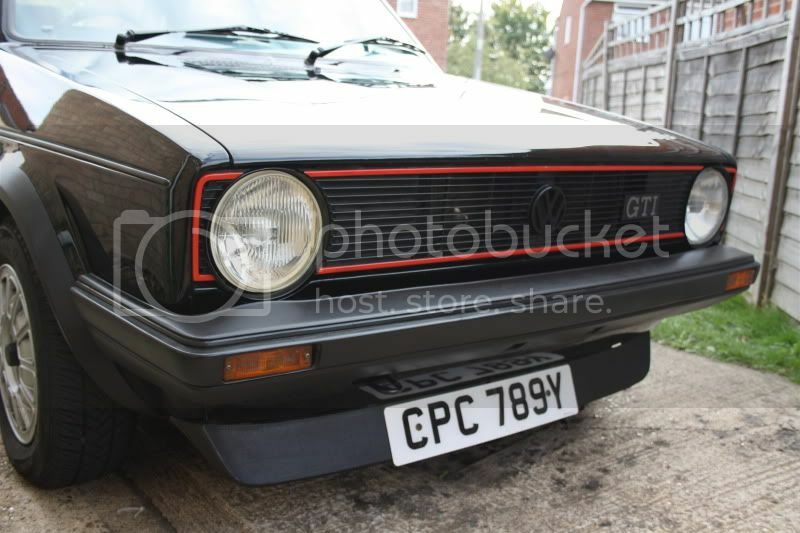 I love this mk1 lee ! dont forget about your caddy though !